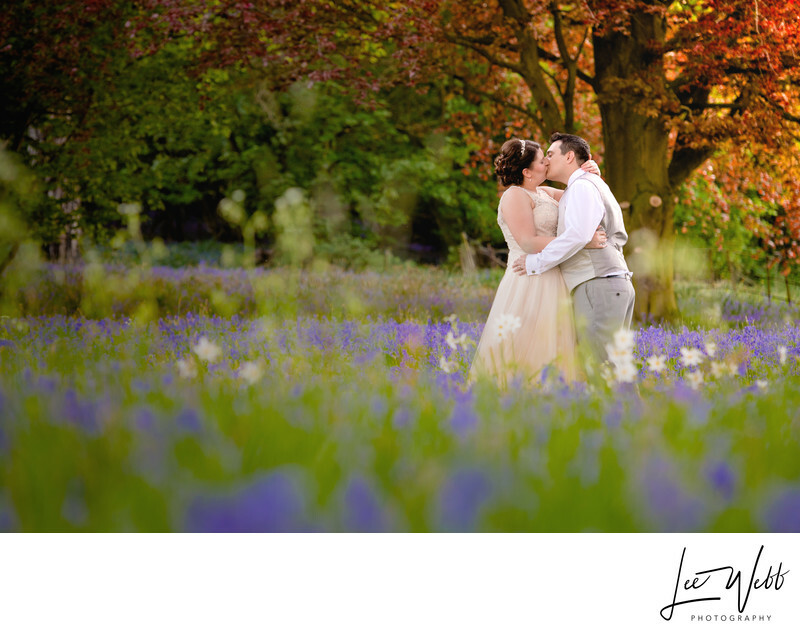 Harriet and Shadi got married in early spring, at the magnificent Dumbleton Hall, which sits in rolling countryside on the Worcestershire/Gloucestershire county border. I had spent all day with the couple, starting with photos of the bride and bridesmaids having their hair done and their makeup applied, and I even managed to spend some time with the groom - mostly looking nervous! The sun was unrelenting, and there was barely a cloud in the sky for the majority of the day, which was a welcome change it must be said! After the ceremony, we took 25 minutes on the lawn to complete the formal family photos, before moving on to the 'couples photos.' A short walk away from Dumbleton Hall, I found this beautiful spot that I knew straight away would be perfect for a gorgeous photo. 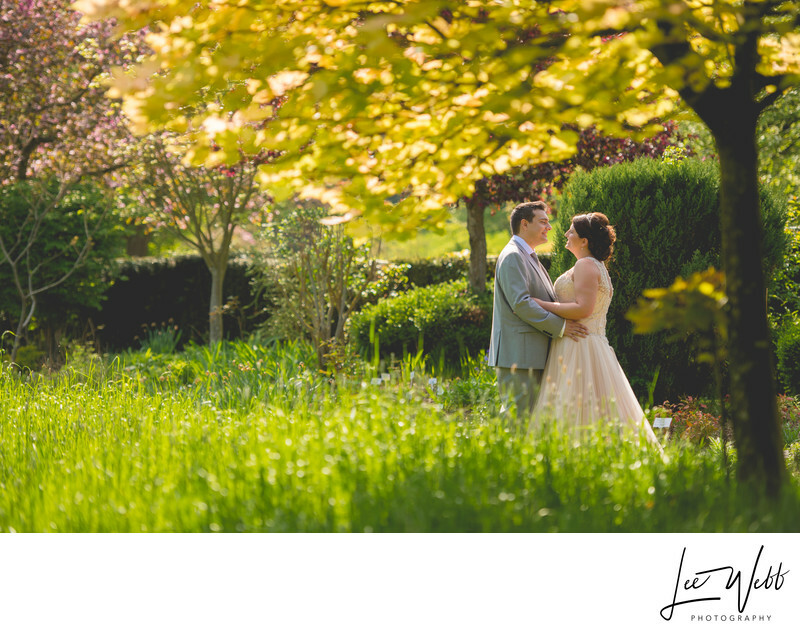 I could frame the bride and groom between the long green grass at the bottom of the image, and a golden yellow tree that was glowing in the sunlight at the top. The main image for this article was taken much later in the day, when the sun had finally started to set, long after the wedding breakfast and speeches had concluded. For this, we walked up the bank at the back of Dumbleton Hall, which was absolutely covered in a sea of bluebells and other wild flowers. I decided to shoot from a low angle with a long lens, in order that I could include as many of the flowers as possible. The setting sun was illuminating the orange/red tree in the background, meaning this stunning wedding photo contains the whole spectrum of colours.